I’m so pleased to be able to continue with my author interview series. With school starting up again and my teaching middle school Latin (ack! ), I really appreciate it when other people are willing to do the hard work of thinking. So, David, what sort of thing do you write? I write mystery thrillers featuring Sophie Rathenau. An investigator in Mozart’s Vienna, she’s tousle-headed, modest of bosom, large of hand, acid-tongued, and inclined to be self-righteous. Getting involved in the direst conspiracies of her day, she needs all her wits to come out in one piece. A miscarriage and the loss of her husband take her from the acute loneliness of book 1, The Prussian Dispatch, to a real place in society by the end of the series. Years ago I was addicted to Robert B. Parker’s Spenser novels, which no doubt influenced my choice of genre. I didn’t guess at the time that a female main character, one from the past, was a means of keeping the Parker influence at gunpoint. But no one reading my books, if at all familiar with Parker’s style of noir, will be unaware of my debt. An equally powerful influence is opera: The Marriage of Figaro, Così, and particularly Fidelio. The departure point for the stories is really the question of how Leonore continues when Florestan has died. Sophie’s attitude is probably inspired by Leonore’s romantic impulsiveness, as in the heart-rending moment when she swears to use her one chance to free Pizarro’s prisoner, still unsure whether it’s her husband. Why do you write from a female point of view? I began by sniffing after a rough idea, like the Habsburg civil service tracking the correspondence of their Prussian arch-enemies. I still believe in flexibility, but nowadays I like to have a detailed sense of where I’m bound, to feel the wider story developing. It’s important that, in time, Sophie will take on an adopted child and a regular lover, and the cues have to be implanted earlier: so the child walks on the third chapter of the first book, but at that point no one knows it. There’s no fixed formula, however. It’s good to follow your nose: improvise another plot, try a different point of view, let a supporting character have her head. Like Isabella, the archduchess in Serene, to whom I didn’t think Sophie would yield so much of the stage, though when she does it creates the story. In the fourth book there are chapters in which Sophie doesn’t appear, although the series is first-person. Sophie just wants to talk: she could fill a book wandering around Vienna, so completing pages can be all too easy. I often have to remind her there’s a story to put over. And when I don’t want to work, her foot-tapping urges me to get on with it. I think the hardest thing about writing is the knowledge of choice, the feeling that it’s always possible to be doing something else. But when it’s going well there’s nothing better. Being at home in the settings – Vienna, Munich, Salzburg, Constantinople – was, I’m sure, an unconscious reason for veering towards them. I love smuggling in my enthusiasm for these cities under Sophie’s blasé attitude. The minutiae of everyday life in her time are fascinating – a lifetime could be devoted to dress alone. Still, too much detail can slow the pace, so I like throwing in weird things a reader wouldn’t expect: King Augustus the Strong’s sport of fox-hurling, or long-forgotten weapons like a hand cannon. I’ll visit any local history museum in central Europe. But I did have an odd experience in Salzburg’s exhibition of traditional farmhouses. After an hour of taking photos for my book site on Pinterest in a creaking homestead from Sophie’s childhood, I was overcome by crippling emotion and had to get out. I still don’t know what caused that. How true do you feel you have to be to the historical setting? Apart from flourishes of eighteenth-century talk – extracts from letters, stuffy officials, aristocratic pomposity – the tone in the books tends to the modern. I don’t worry if Sophie uses a word that’s up to date, because I see the text as a translation from her era. But I hope she doesn’t come across a conscious feminist in today’s sense, even though she’s riled by gender injustice, like many female characters in the stories and plays of her time: women who can’t control their fertility, don’t expect to, and are quite aware that things are stacked against them. Nonetheless, Sophie’s operating a mere fifteen years before the existing order was upturned in France, with wild new ideas about roles and social attitudes. Readers enjoy catching you out on historical detail, such as Sophie’s marital aunt wearing knickers, which women didn’t in the 1770s. Yet a few women of damaged reputation did, which was the character point I wanted to prepare. Where is the series headed? 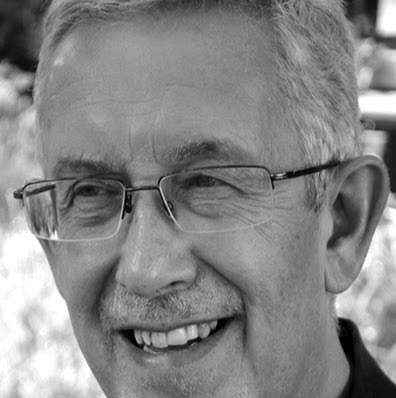 Book 2, Lay Brothers, (Sophie’s tangle with the Jesuits) will appear this Autumn. The third, Serene, is set in Venice, where Sophie guards wayward Habsburg Isabella. It should be available in 2017. 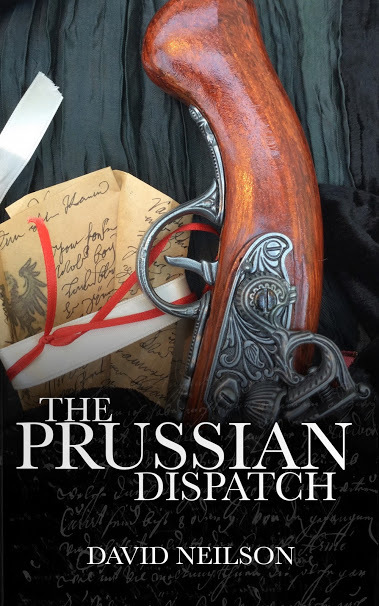 The Prussian Dispatch is available on Amazon. Thanks for taking the time to chat with me, David. I’m a big fan of Sophie and am very much looking forward to reading her next adventure! For more information, please visit David’s blog about Sophie Rathenau’s Vienna.